Hearts will travel to Dingwall on Wednesday, February 10 to take on Ross County in their rescheduled Ladbrokes Premiership fixture (kick-off 7.45pm). 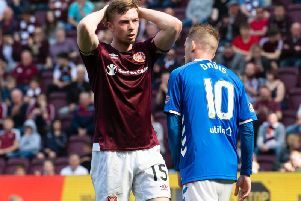 The Jambos had been due to play the match on Saturday, January 30 but it was postponed due to the Highlanders’ League Cup semi-final clash against Celtic that weekend. Robbie Neilson’s side travel to Inverness on Saturday week instead in a rearranged league match.